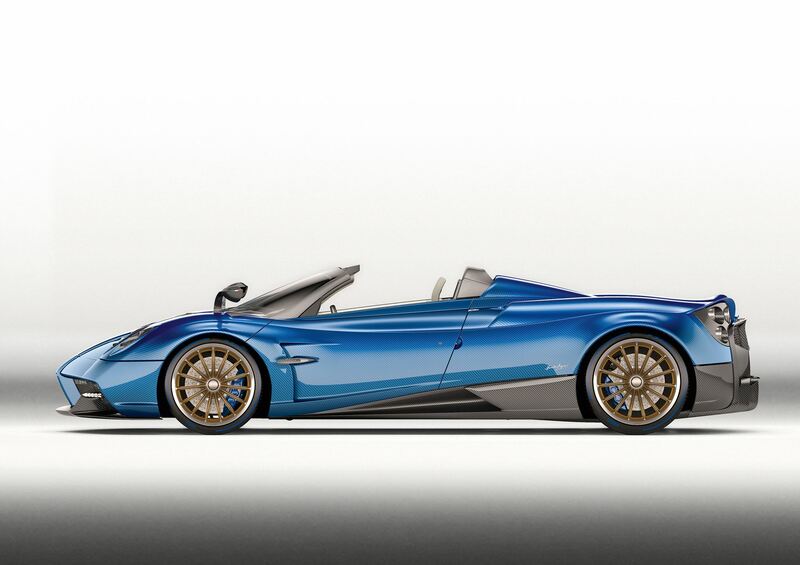 The Pagani Huayra Roadster is Horacio Pagani’s open-air tribute to the gods of wind. 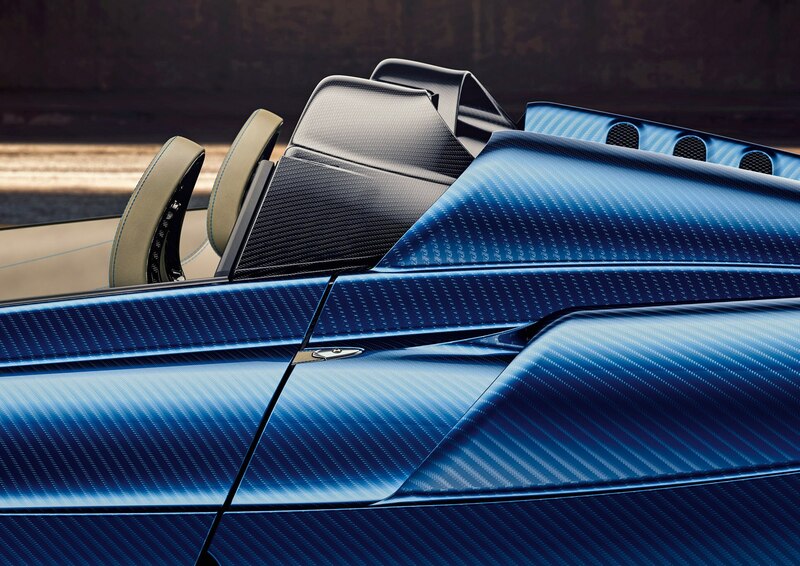 If there ever was a drop-top to die for, the Huayra Roadster, which was just revealed ahead of its debut next month at the 2017 Geneva auto show, is probably the one. 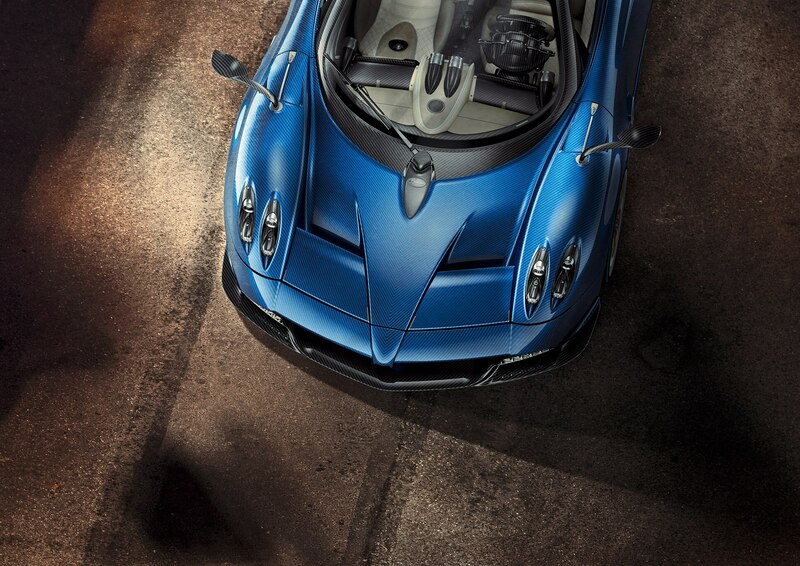 And with 764 horses on tap, it can kill you if you are not careful. 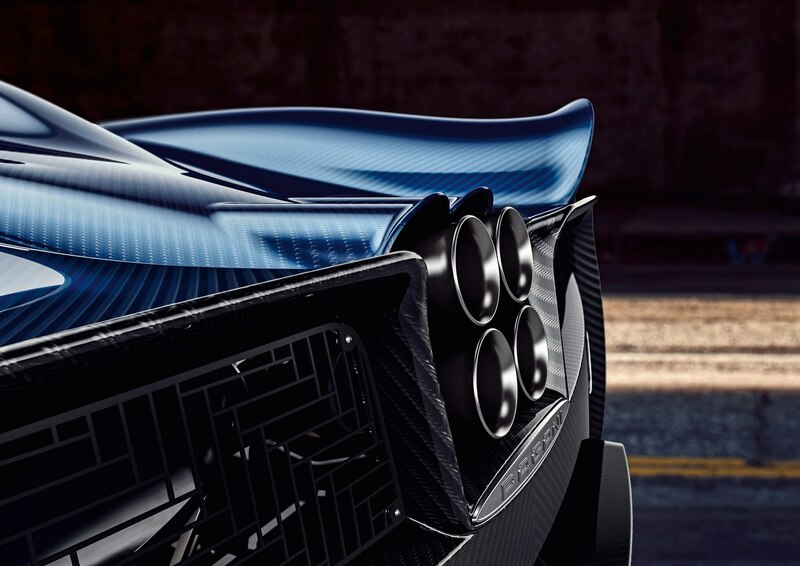 “The pursuit of beauty as a fundamental concept, an unbridled work of art, intelligence and open-air passion,” Horacio Pagani, founder/genius said in a statement. 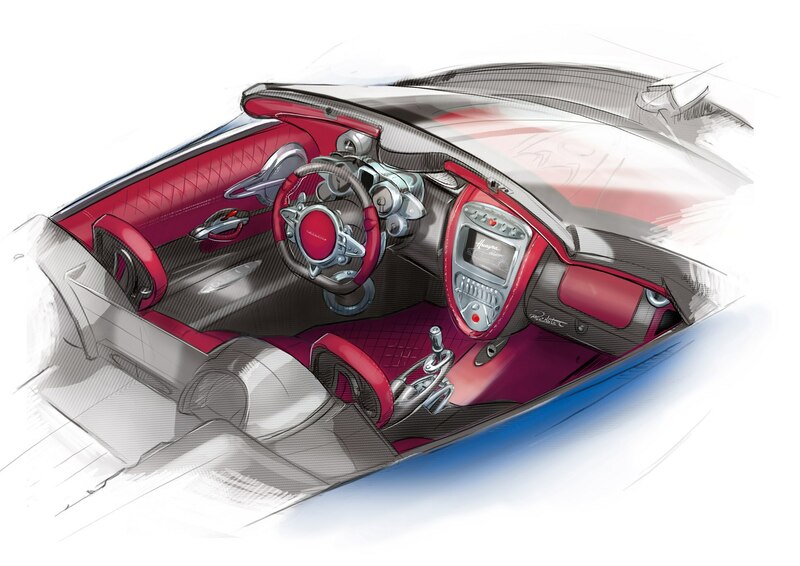 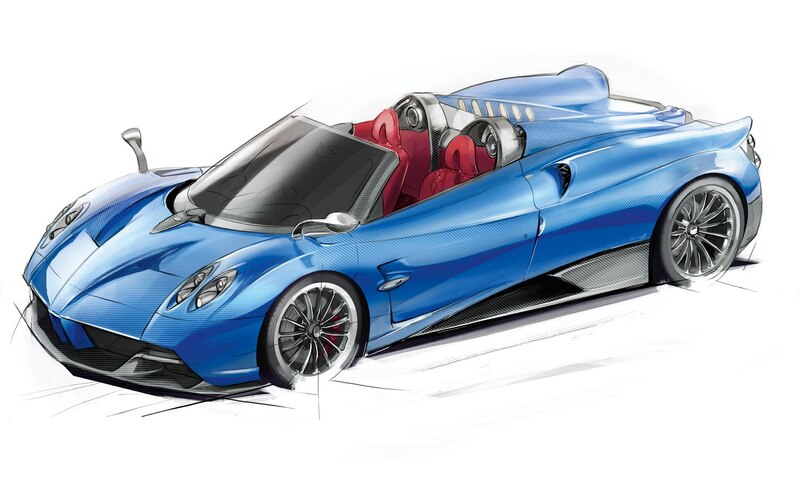 Here’s what we know about the Pagani Huayra Roadster, aside from its gorgeous looks so far. 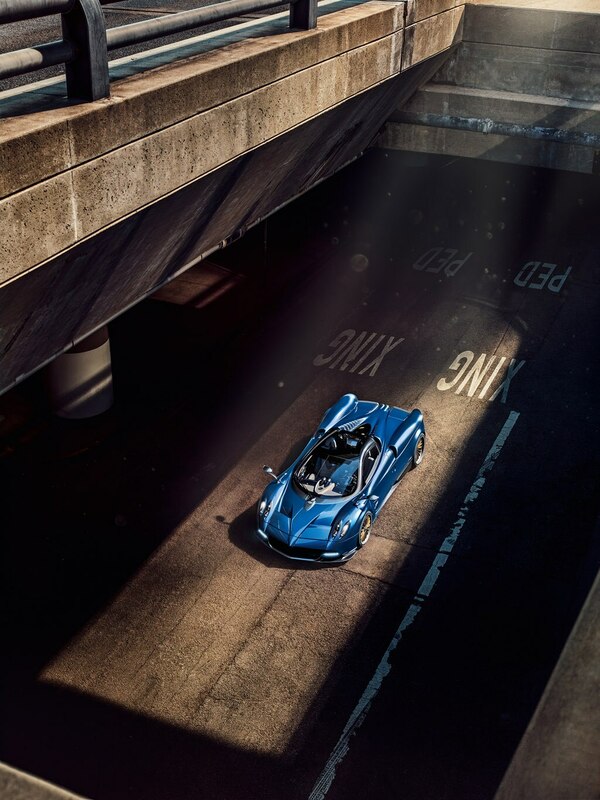 The limited edition run of 100 sold for at least $2,410,792 a pop and it’s already sold out, so you can save up your pennies for now. 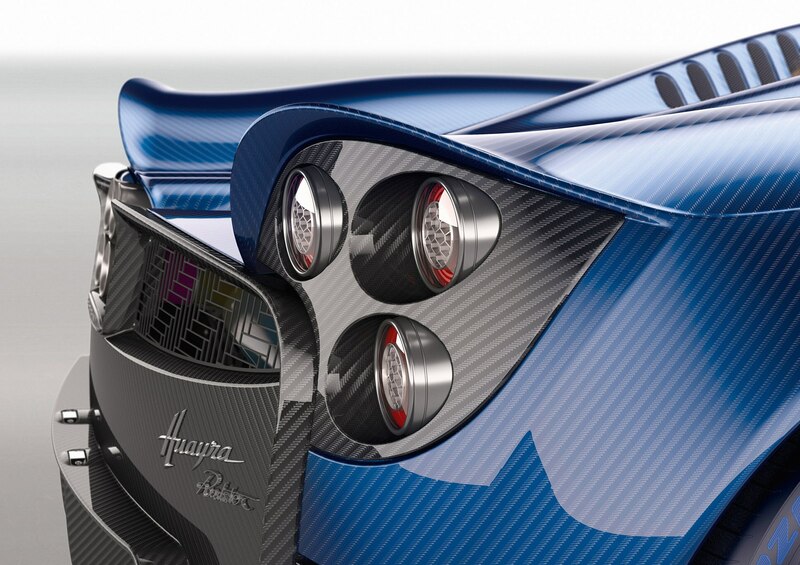 The chassis features steel tubes in the front and rear with a Carbo-Titanium and Carbo-Triax HP52 monocoque. 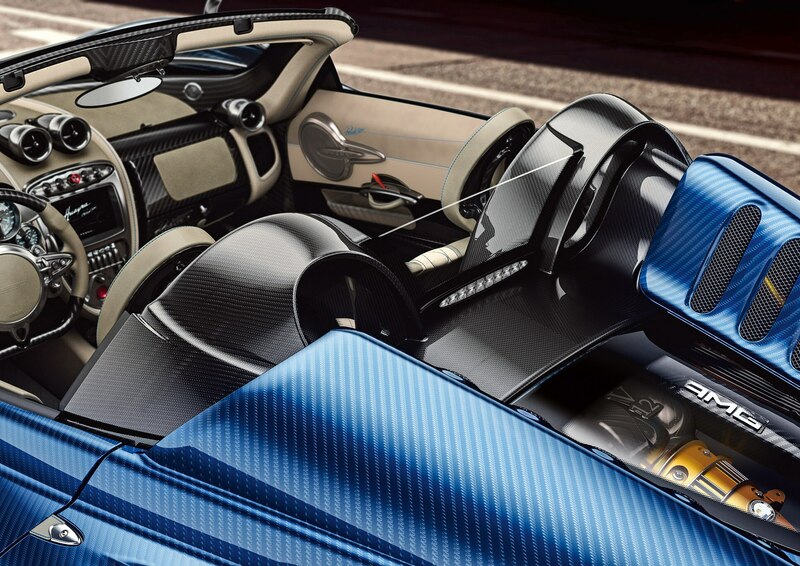 That’s a small tub in the middle of the roadster where the seats and driver go. 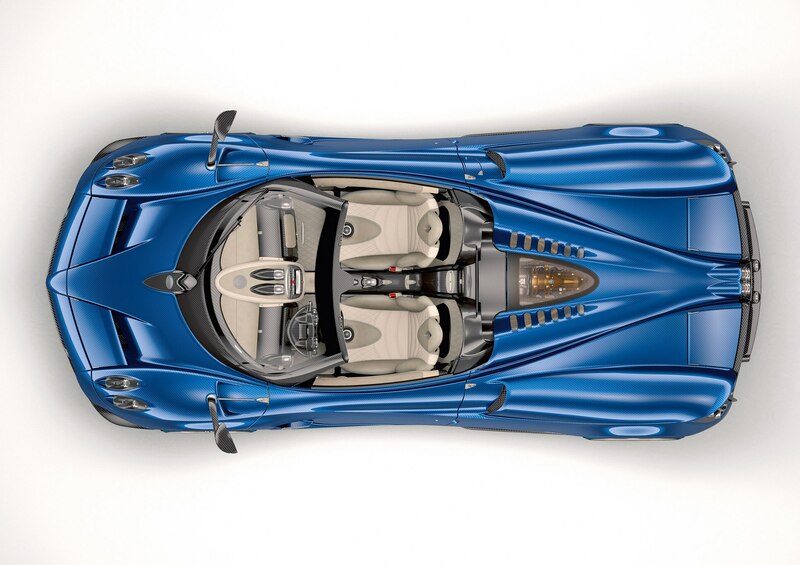 The roadster weighs in at 2,822 lbs. 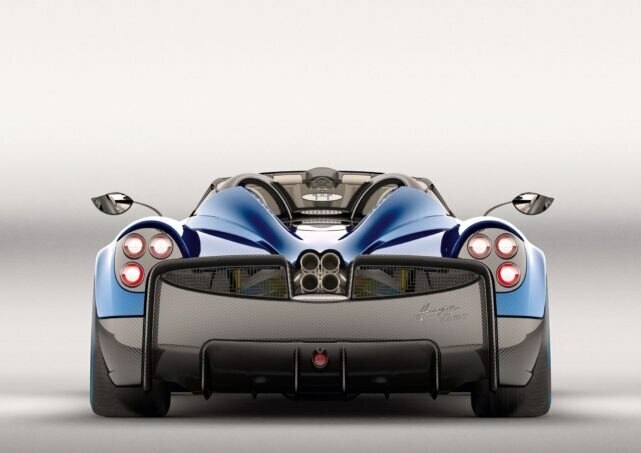 and is 176 lbs. lighter than the coupe version. 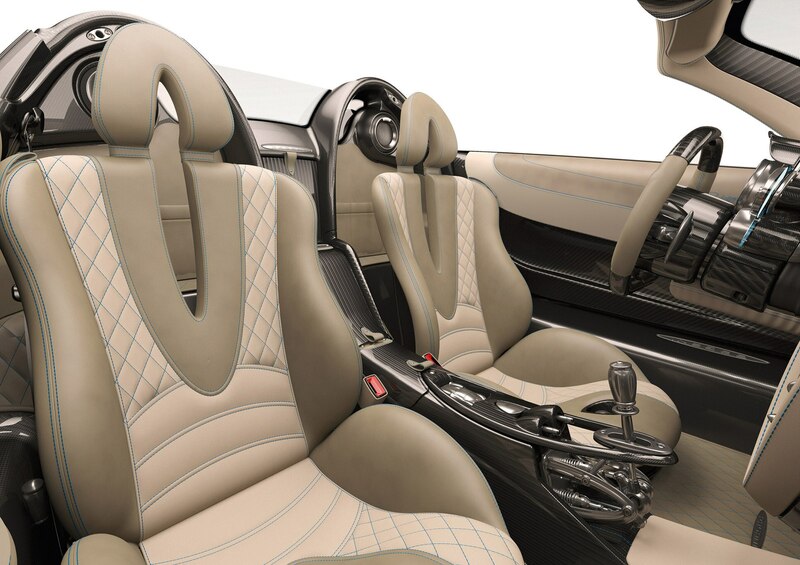 The frame is more ridged than the coupe as well. “A 52% increase in stiffness, at the same weight, thanks to the combination of the Carbo-Titanium and the Carbo-Triax HP52,” Pagani claims. 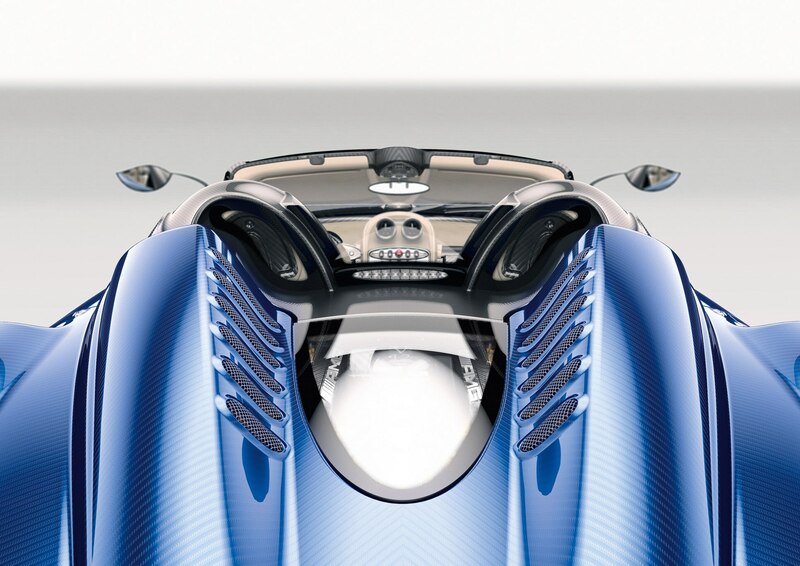 Like the Huayra coupe, the roadster gets a twin-turbo Mercedes-AMG V-12 engine with 764 hp and 738 lb-ft of torque. 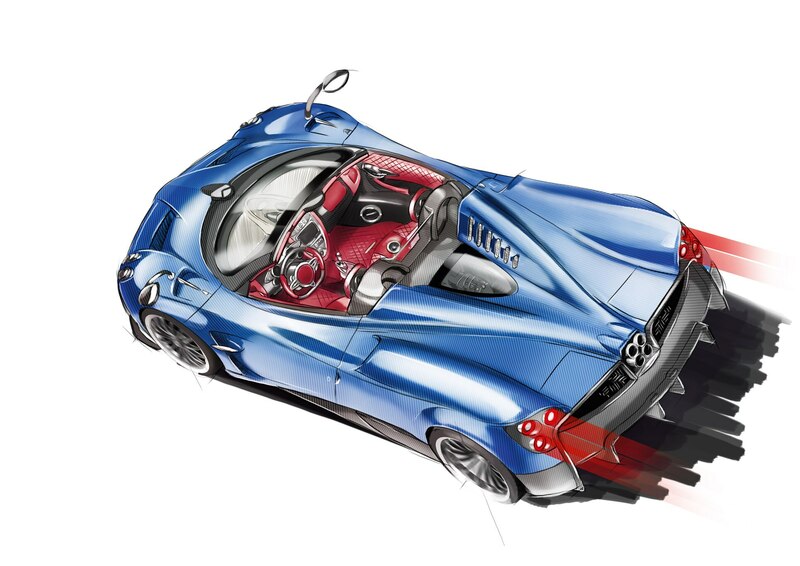 The rear engine is mated to an AMT 7-speed gearbox built by X-Track. 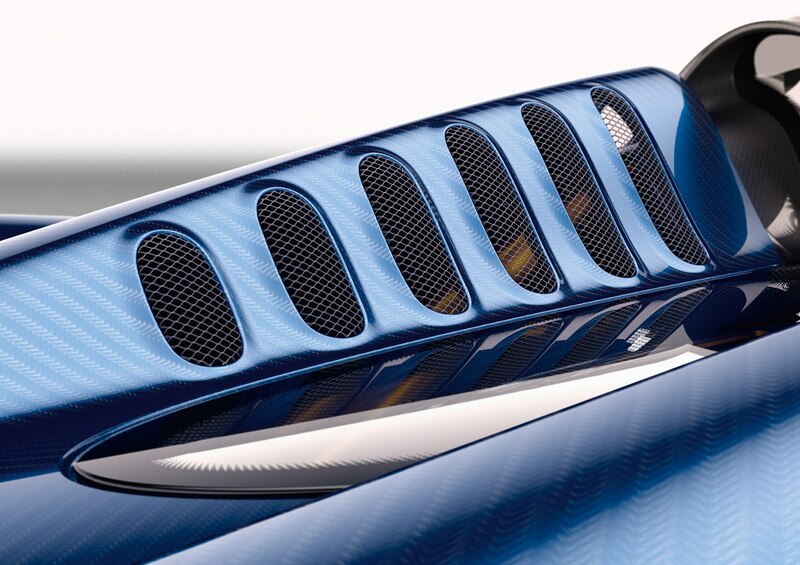 The roadster version of the hypercar offers extreme performance and achieves a lateral force of 1.8 G, we are informed. 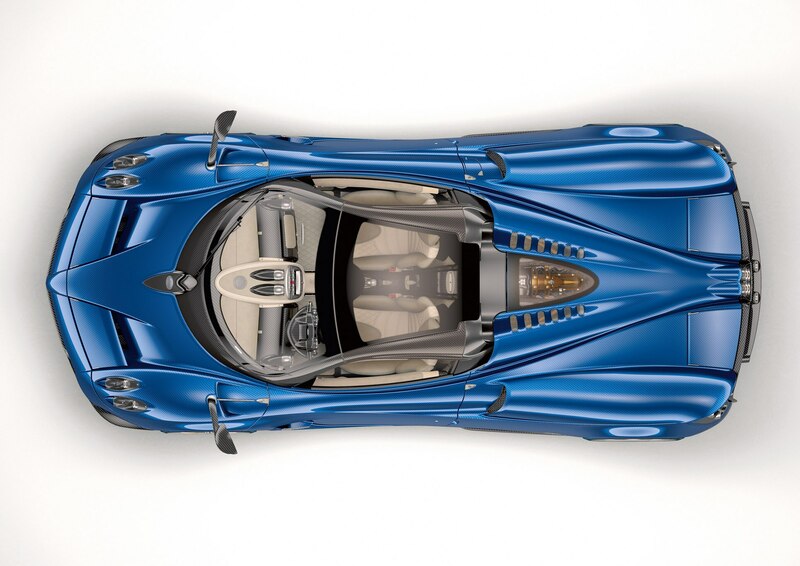 “If we think of the Huayra Coupe as a personification of elegance and timeless lines, the Huayra Roadster was to be the rebellious sister, shapely and beautiful, but with a sharp edge for those who are careless,” said a poetic Pagani. 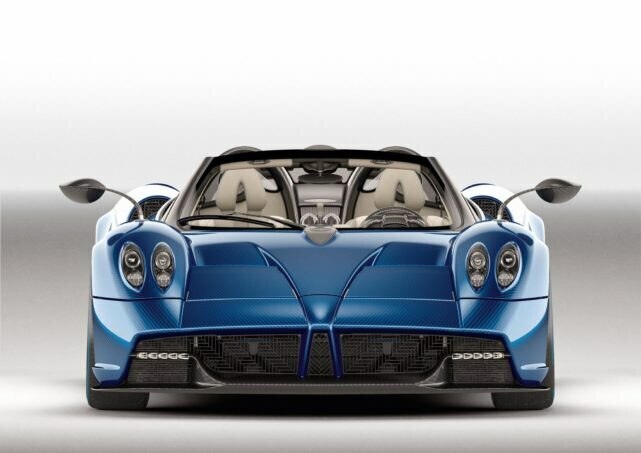 The Huayra roadster gets an aggressive grille, wider wheel arches, roll bars, a light carbon and glass hard top, and a soft fabric roof that can be installed quickly. 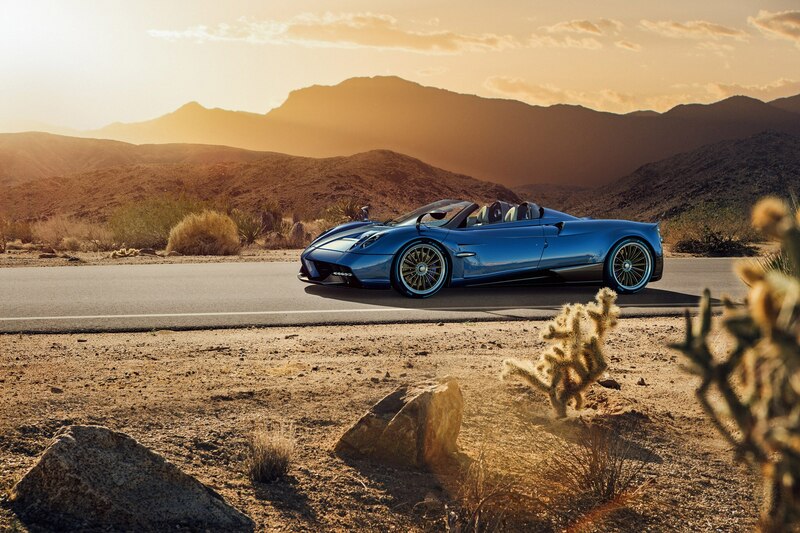 Its suspension system was designed specifically for the roadster and features a lightweight aluminum alloy, called HiForg. 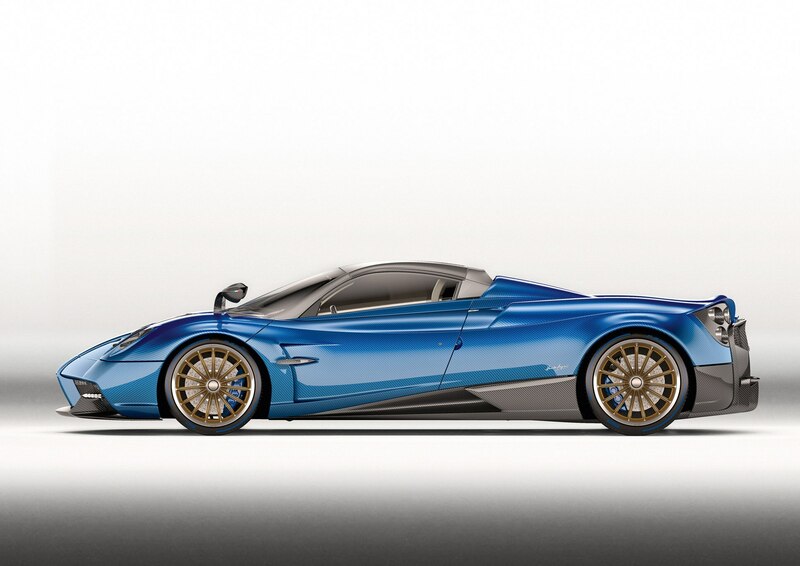 “This lightened the car by 25%, compared to the Huayra coupe, an extraordinary result for a car already considered the paragon in optimizing power-weight ratio,” says Pagani. 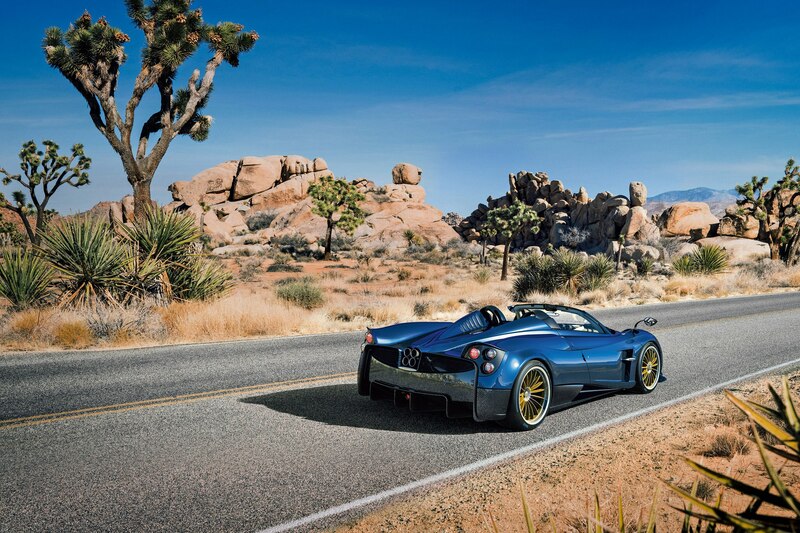 Brembo carbon ceramic brakes, forged aluminum wheels, with Pirelli P Zero Corsa tires — 21 inches in the rear and 20 inches in the front — complete the pricey package.